The theme auto detects the default Google AdSense code and the custom banners which respect the structure provided in the documentation and makes them responsive automatically. Each ad spot has one box where you can insert your ad code. Please read below how to setup the Post Template Style 1 and Post Template Style 11 ad. 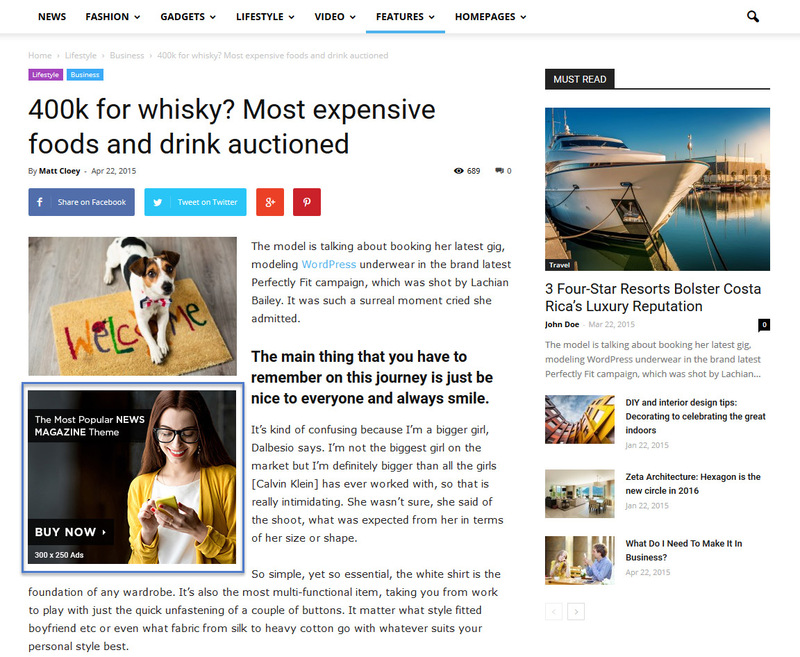 To manage the Post Template ad go to Newspaper > Theme Panel > Ads and open the Post Template Style 1 section. Just add your code and save the settings, if you use Google Adsense the theme will automatically make it work on all devices . 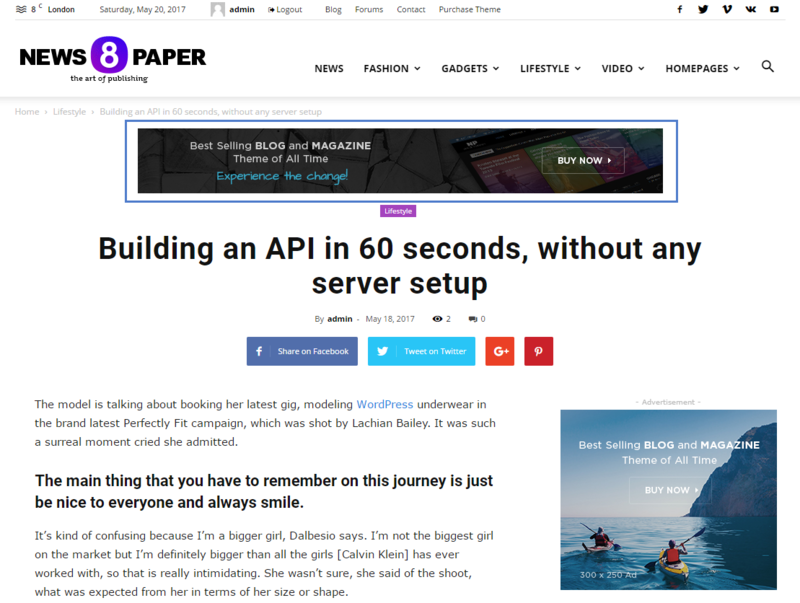 Your ad will be displayed in the top section of the article. 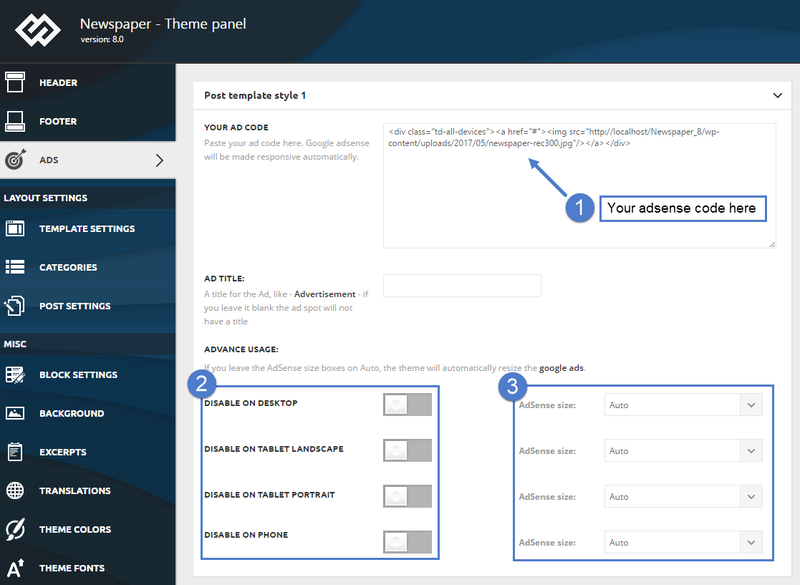 To set up your ad go to Newspaper > Theme Panel > Ads and open the Post Template Style 1 section. 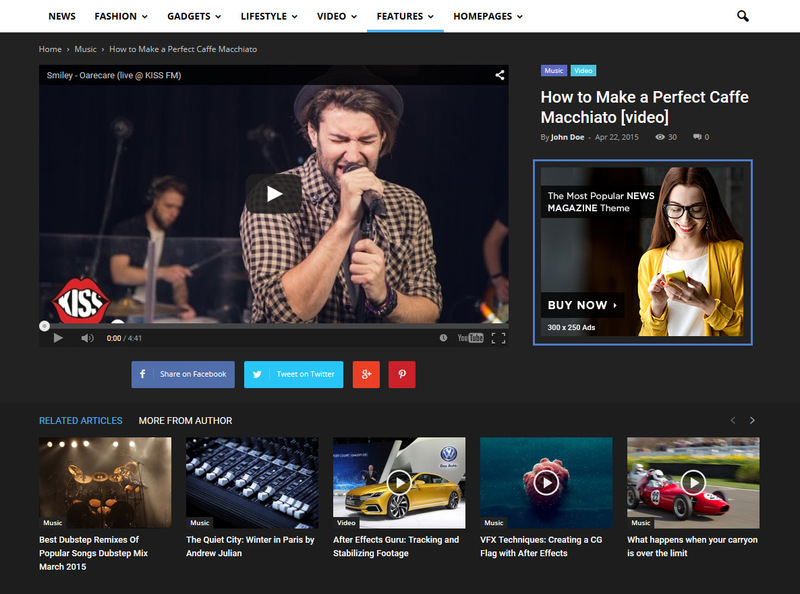 Step 1 – Add your AdSense code in the required area. After you finished customizing your header ad click on the Save Setting button. 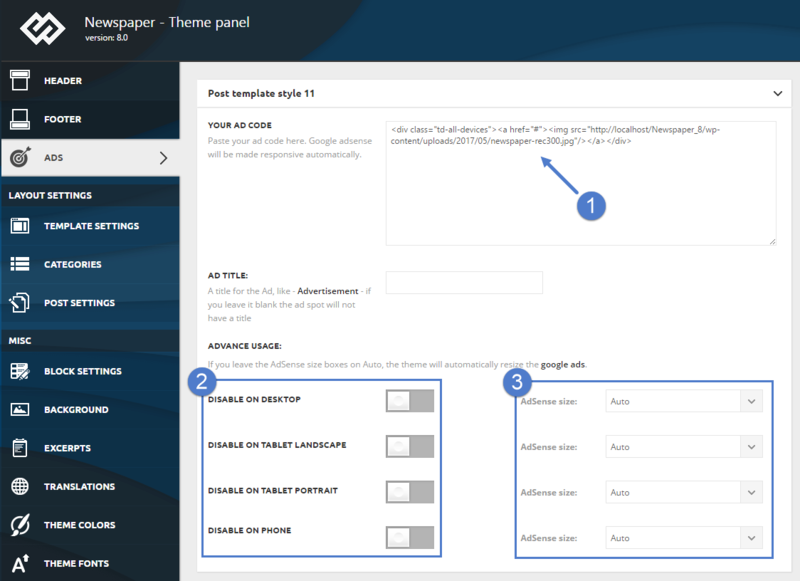 To set up your ad go to Newspaper > Theme Panel > Ads and open the Post Template Style 11 section. If you use Google Adsense the theme will automatically make it work on all devices. Your ad will be displayed in the top section of the article on the right side of the video. After you finished customizing your header ad, click on the Save Setting button. To set up your ad go to Newspaper > Theme Panel > Ads and open the Post Template Style 12, 13 section. 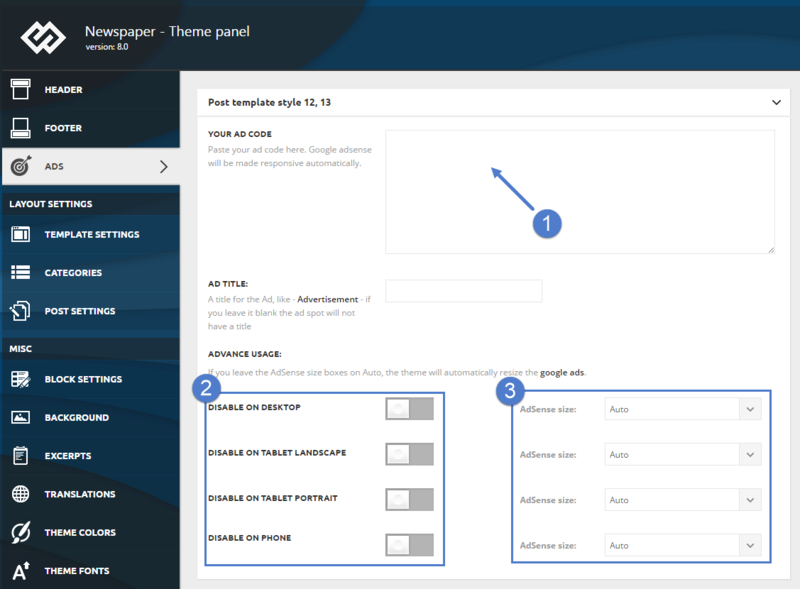 If you use Google Adsense the theme will automatically make it work on all devices. Your ad will be displayed in the top section of the article. If you want to use custom sizes, check the official list. Please remember that Google AdSense TOS doesn’t let you use big header ads on mobiles! The theme automatically sizes the ads to best fit the available space but if you want to use custom sizes you can easily set one for each device.